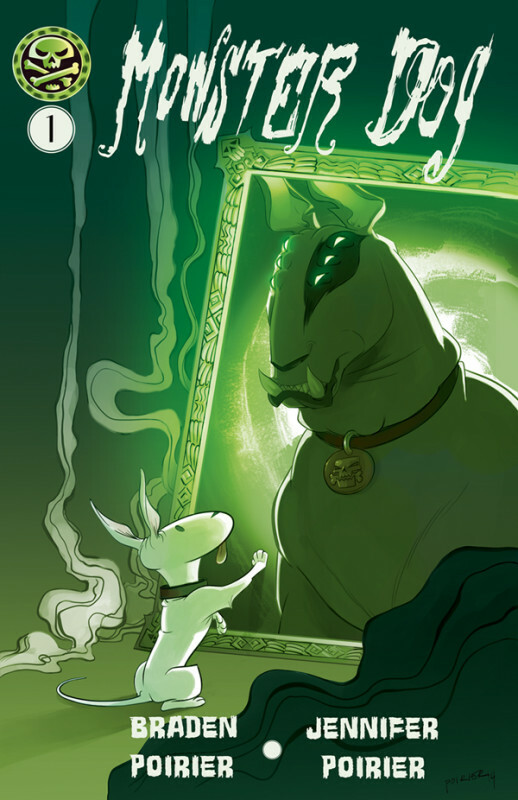 On a particularly cold day in November, an exceptionally slow bull terrier named Spot stumbles upon a tasty bowl of demonic dog food that happens to change his life… forever! We are a husband and wife duo who create original content together. Our current project is our indie comic ‘Monster Dog’. We have finished issue one and have moved onto issue two! Braden Poirier is a full-time animator who has animated on various TV shows, but most notably on Motor City, Turbo F.A.S.T, and Teen Titans GO. He has long held an interest in comics, video games, and illustration, with a deep love for fantasy and sci-fi. Jennifer Poirier is a storyteller and artist who, in the past, has worked in animation but has hence moved into writing her own stories and producing original content. Her main inspiration comes from fantasy, campy horror movies of the 90's and fiction books. Your contribution at this rate will give you access to our progress updates! Your contribution at this rate will give you your own digital copy of our comic! We hit another huge milestone! This will help us outfit our workspaces with better quality materials and equipment, which means awesomer stuff for you! Yes, Awesomer.